A Connecticut couple walked up to the bar at Cap Juluca’s Blue Restaurant and were met by a smiling bartender turned mind-reader. “I know, I know. You want two Junior’s Specials,” a laughing Patson Williams said. After the couple returned to their lunch table near the beach, Williams confided she’d been serving these annual vacationers for years. 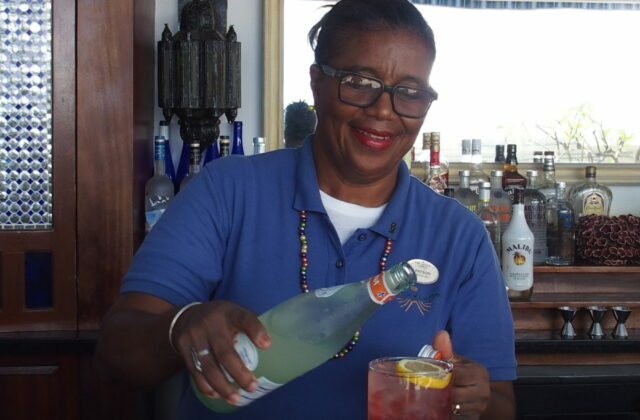 Patson is a popular bartending fixture at Cap Juluca’s Blue Restaurant since 1992. 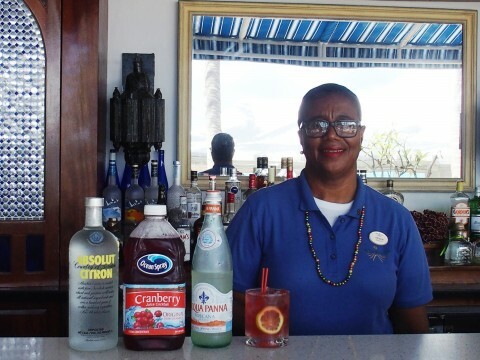 Patson’s affinity for pouring rum cocktails and joking with guests has earned her a loyal following. “Guests are always telling me I should set up a Facebook page so they can see how we’re doing here at Cap Juluca,” Williams beamed. Patson shows off Wayne’s World cocktail ingredients. Besides the signature rum punch that each guest receives upon checking in at Cap Juluca, Williams’ drink menu includes dozens of tropical favorites with intriguing names like Anguilla Sling, Island Mix, and Maundays Paradise. Before or after dinner, Cap Juluca guests unwind at Maundays Bar overlooking the Caribbean Sea. 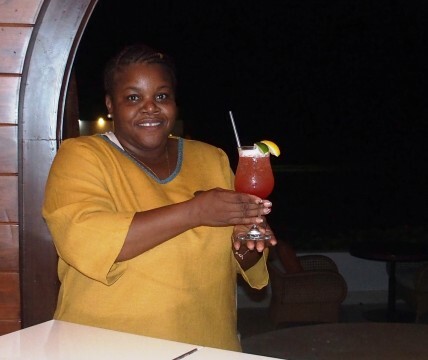 Ever since 2006, you’ll find Jessica Romney behind the bar charming Maundays’ guests in need of a nightcap or two. Jessica came to Anguilla and Cap Juluca by way of the neighboring island of St. Kitts. One tropical drink that Jessica makes almost nightly is the naughty but nice Juluca Passion. This refreshing cocktail consists of Bacardi white rum, a splash of Pyrat dark rum, a dash of lime juice, and is then topped off with cranberry juice. Cap Juluca’s bartenders aim to please. One way they make their guests feel special is by coming up with original cocktails to commemorate a night out at the luxurious Spice or Pimms restaurants. 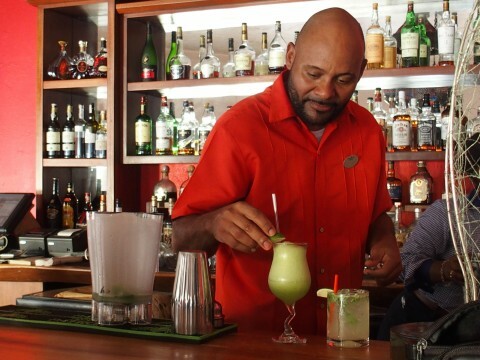 Bartender Francisco Pena has worked at Cap Juluca since 2009. Francisco humbly admits that he’s a master of the mojito. Pena is always tweaking his mojito recipes, and his newest is the Jalapeno Mojito. In addition to white rum, mint sprigs, sugar, lime juice, and soda water, Pena adds jalapeno peppers. Pena mentions that the key to this chilled cocktail’s success is to carefully remove the jalapeno seeds before serving. 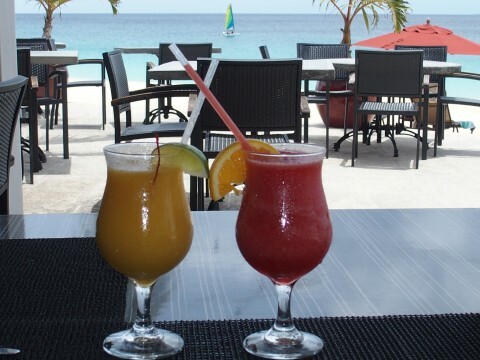 What’s Your Favorite Caribbean Cocktail? Discovering a new favorite Caribbean cocktail is part of the vacation experience for Cap Juluca guests. For those lucky enough to return a second time, chances are good there will be a Junior’s Special, rum punch, or Jalapeno Mojito waiting before you even need to ask.